we have just spent 3 days at Copley, Halifax building some willow structures at Copley Recreation Ground. On Thursday and Friday we worked with the children from the local primary school and built a dome and a tunnel. 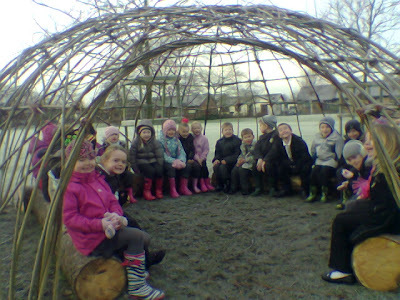 Today we worked with members of the local community to build a larger living willow dome. Luckily the weather was kind and everyone enjoyed working on the project.